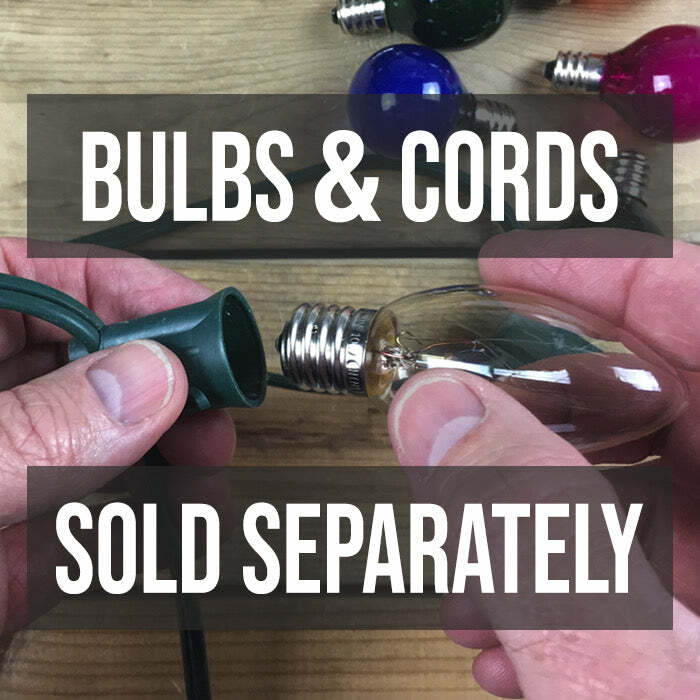 Install these bulbs in your C9 (E17bases) cords or shop for new C9 Christmas light cords here. We love the traditional look of these multicolor C9 Christmas bulbs. Choosing these beautiful jewel tone C9 bulbs will give your Christmas tree and holiday decorations the perfect touch of gorgeous light. When placed in your cord, purchased separately, they can be used in multiple ways in your holiday decorating. Red, blue, green, orange and pink bulbs will bring a brilliant sparkle to your outdoor landscaping. Light up your roofline and sidewalk for curb appeal like no other. These bulbs are ideal for lighting up large trees and shrubs as well.